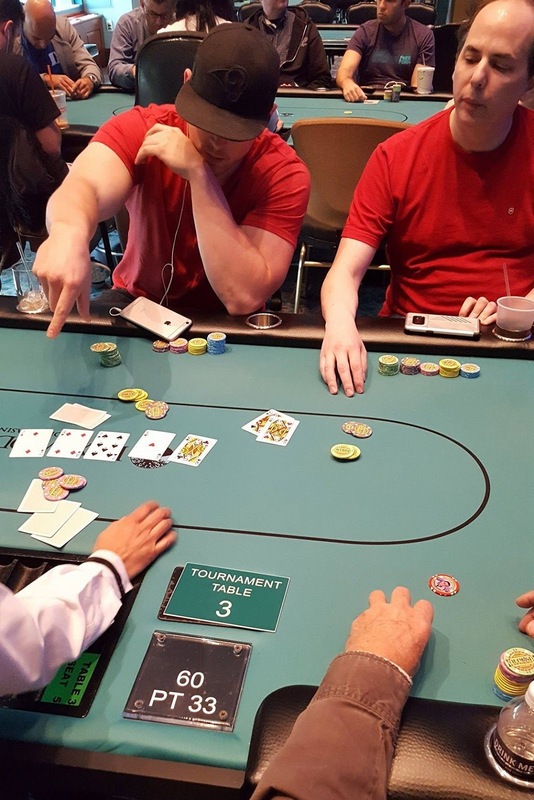 There's around 1,800 in the pot and a board reading 7♠4♦2♦A♥Q♣ when Alex Foxen bets 1,900. Allen Kessler makes it 4,200 and Foxen goes into the tank. Over two full minutes pass before Foxen tosses the extra chips into the middle to call. Kessler turns over Q♥Q♠ for trip queens. Foxen picks up his cards and drops them into the middle (pictured above).